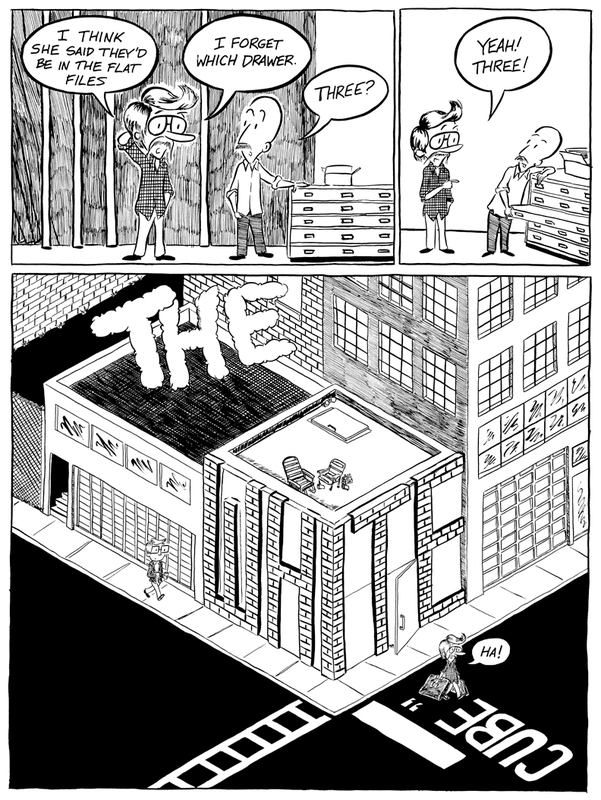 formerly "The White Cube": Page 3! Splash Page! If you look really closely, it says "The White Cube". If you look even closer, you can see the gears of the quasi-farcical setup creaking into motion.